Double AA Metal Roofing is a well established roofing company serving Southwestern Ontario. Double AA owner Tim Eansor is a professional engineer (P.Eng) with over 20 years of experience working in steel manufacturing and processing. Eansor is a graduate from the University of Windsor with a degree in Materials Engineering specializing in steel making and steel processing. His professional team at Double AA Metal Roofing is comprised of 15 employees certified and trained in the industry. “Collectively, the Double AA Metal Roofing team has many years of experience with steel materials. This experience level, combined with the technological advancements made in steel roofing products over the last decade allows our company to provide a fantastic roofing option for homeowners. Double AA Metal Roofing offers the highest quality metal roofing products for residential, light commercial, institutional, and agricultural use, as well as professional installation and friendly reliable service. Estimates are always free. Metal roofing is the primary focus of Double AA Metal Roofing and a trusted brand in the roofing industry. 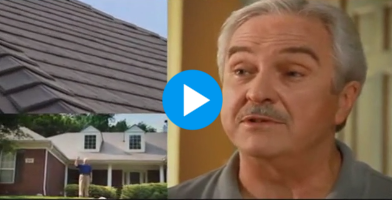 Read our Double AA Metal Roofing Reviews from past customers on our testimonials page. As our name indicates, we will provide our customers with high quality roofing at the best possible price. A-1 quality at an A-1 price! Along with that we offer close attention to detail and personal friendly service in all we do. Double AA Metal Roofing is based in Belle River, Ontario and we serve customers in Southwestern Ontario. Double AA Metal Roofing uses only the highest quality metal roofing products. Contact Double AA Metal Roofing for a Free Metal Roofing Estimate Now about your roofing needs.